Who does Target look to when it wants to woo women of color? Indie beauty brands, of course. The national retailer is recognizing not all women look the same with a bold upgrade of its cosmetics selection driven by eight emerging brands. Among those brands are Reina Rebelde, Hue Noir and Haleys Beauty, pioneering IBE exhibitors responding to the needs of diverse consumer bases in ways their larger counterparts can only imagine. Target is betting on brands such as Reina Rebelde to appeal to Latinas and other minorities because big money is on the line. Nielsen projects the spending power of African-American women will reach $1.5 trillion by 2021. Also in that year, the research firm estimates Hispanic buying power will hit $1.8 trillion. Fenty has already established women of color are willing to open their wallets when provided makeup that works for them. With its new indie offerings, Target aims to do what Fenty has done in the prestige channel: empower shoppers often ignored in the past with the right choices for them. Stores aren’t finished expanding makeup assortments to satisfy portions of the population clamoring to be heard in the beauty business. IBE plays a key role in putting indie brands at the forefront of the movement to appreciate women of color as the formidable force that they are in front of retailers like Target, a regular IBE attendee. 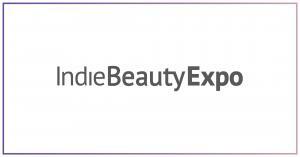 We’re proud of our exhibitors that are broadening beauty selections and helping stores make their cases to shoppers who’ve long been overlooked – and we know indie beauty will continue lead in the quest to serve all shoppers regardless of skin tone.